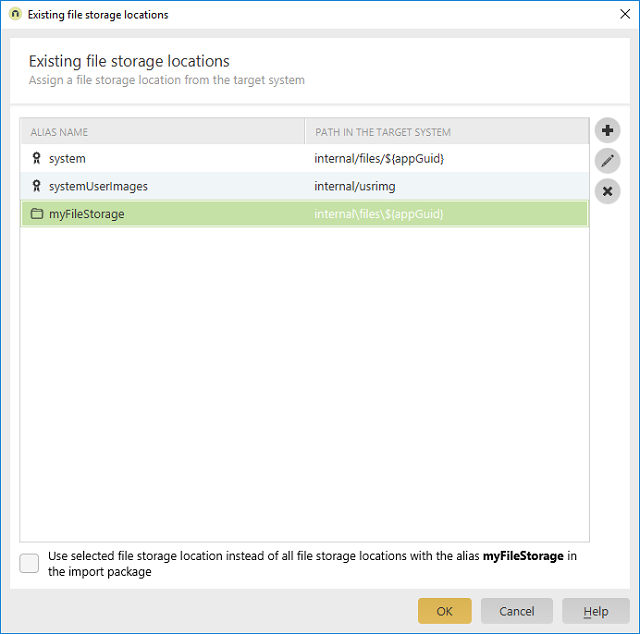 Import Import / Select an application that references a file storage location / Click on "Next" Assign file storage locations / Click on "Existing file storage locations"
Displays the alias name of the file storage location. Opens a dialog where a new file storage location can be configured. Opens a dialog where an existing file storage location can be edited. Deletes the new file storage location currently selected. With this setting, the selected file storage location is assigned to all file fields with the "system" file storage location.